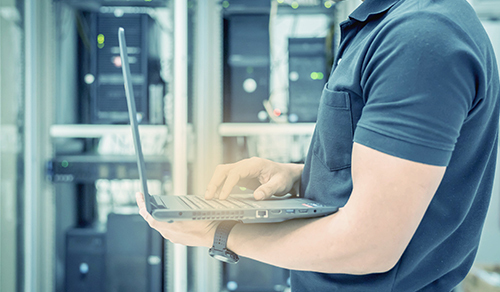 IT specialists are involved in the design, operation and maintenance of IT systems used by businesses of all kinds, as well as public sector institutions. They deal with everything from hardware and software to networks and web resources. At times, they work with consultants and vendors to implement new systems and integrate IT processes for clients. The FieldEngineer.com platform makes it possible for you to find an IT specialist who can help your business out at short notice. There are over 40,000 professionals on the platform and they’re available in 180 countries around the world and at any time. So when you need someone to get an IT-related job done for you, FieldEngineer.com is the platform you should use. FieldEngineer.com is a real-time platform that allows you to find professionals at a moment’s notice and then track the job as it moves through its various stages. Order management, worker tracking, payment, reporting and analytics, among many other things, can be taken care of swiftly and easily on the platform. It’s intuitive, simple and it helps you get the job done properly. By signing up today, you can start using the platform immediately. It’s easy to start making the most of its many benefits and ensure the next IT specialist you hire is a reliable professional who can produce results for your business. The worldwide availability offered by FieldEngineer.com is second to none.